The countdown to New Year’s Eve is on—how will you spend your final hours of the year? 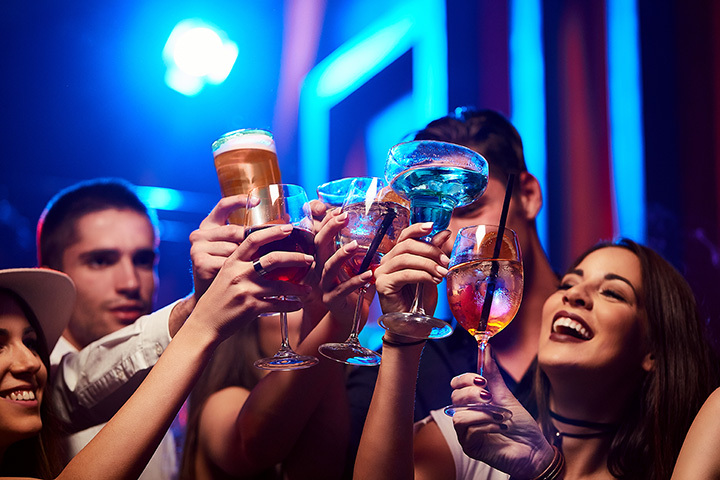 South Carolina’s bar scene is always hopping, but New Year’s Eve is the one night of the year where you’ll want to secure your spot at one of the best hangouts in the state. With party favors, live entertainment, and drink specials galore, you won’t want to be anywhere else than these nine best places to celebrate the New Year in South Carolina. This three-story venue is hosting their biggest event of the year on New Year’s Eve. Hors d’oeuvres, live entertainment, and a champagne toast is included in your $25 admission. They’re also offering VIP bottle service packages for a slight upgrade. As one of the most iconic destinations in downtown Greenville, you won’t want to miss your chance to party at Zen. General admission includes three drink tickets and all the jazz music you can handle, plus a midnight balloon drop, party favors, and access to the cigar bar. You can upgrade your evening to their VIP-for-eight package for a nominal upcharge. Located in famed Celebrity Square, Celebrations Night Life brings four clubs under one roof for nonstop dancing, music, and fun this New Year’s Eve. Guests will love the variety of atmospheres without ever truly leaving the building. And since it’s at Broadway at the Beach, you can catch the epic fireworks show for free while you’re there. Who knew a pizza place could be one of the best party spots in the state? Wild Ace Pizza and Pub is transforming into your premier NYE headquarters, offering heavy hors d’oeuvres, full bar, live DJ, balloon drop, and even a red-carpet entrance to the party. Just $10 grants you access to one of the biggest parties in this small town. Live music, party favors, and a champagne toast are covered in your ticket price, so you can ring in the new year in the best possible way. Hosting their first annual NYE masquerade, you won’t want to miss a chance to sway your night away at Blue Moon Ballroom. Bring your mask and your dancing shoes as you get swept away into the new year. Admission includes heavy hors d’oeuvres, champagne at midnight, and a chance to win door prizes all night long. DJ Joel Rodriguez & DJ Thaddeus Omar Bogney rocking the House with some hard hitting Salsa and smooth Bachata! Who says you can’t party for a cause on New Year’s Eve? The Women of Hope’s New Year’s Eve Gala will be held at the University of South Carolina Alumni Center. This black tie optional affair gives you the chance wine and dine your way into 2018 in the classiest way possible. The Hilton Greenville is hosting an elegant affair to ring in the new year in true southern fashion. Proceeds will go to benefit Tell Every Amazing Lady about Ovarian Cancer and the National Alliance of Mental Health Greenville. Tucked away from the noise and busyness of Main Street lies the laidback environs of Coffee Underground. This year, their Alchemy Comedy Theatre is hosting improv comedy to keep you laughing until the new year emerges. It’s an epic “laughdown” you won’t want to miss!